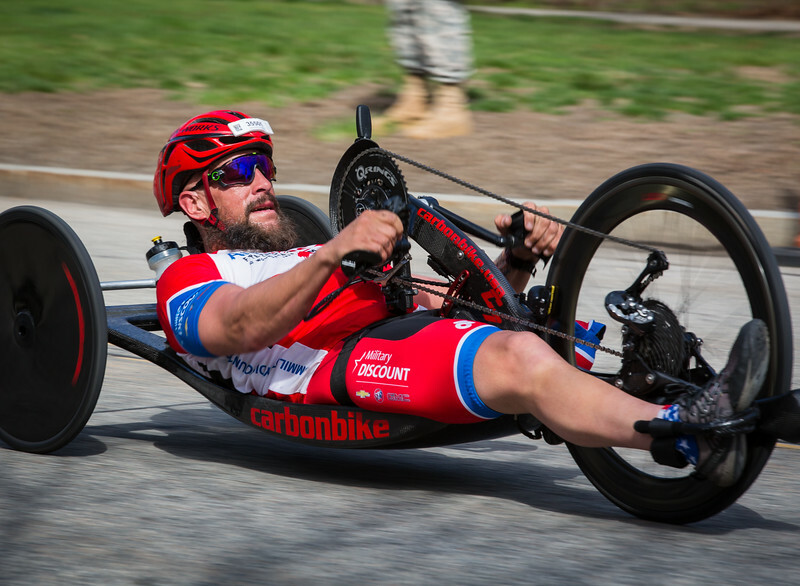 Tom Davis from USA finished first in the men's hand cycle race at the 2017 Boston Marathon. 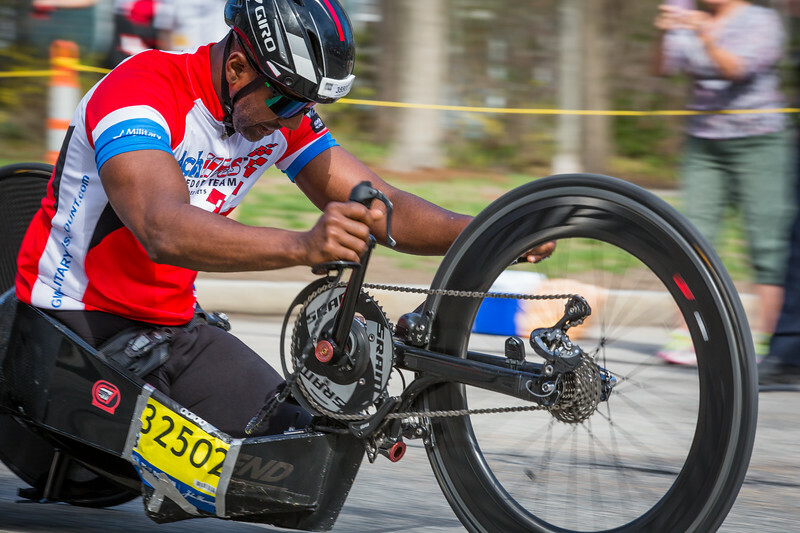 Alfredo De Los Santos from USA finished second in the men's hand cycle race at the 2017 Boston Marathon. 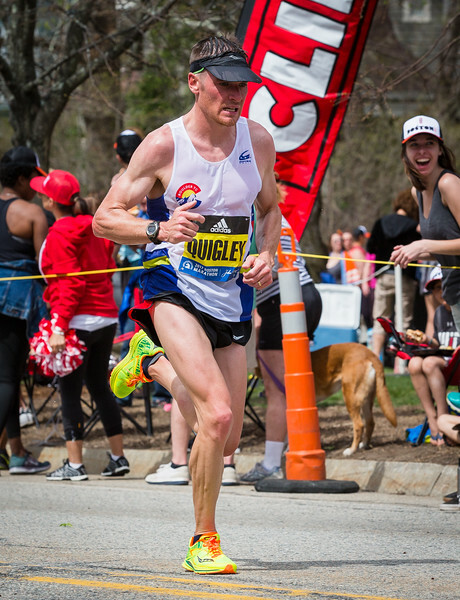 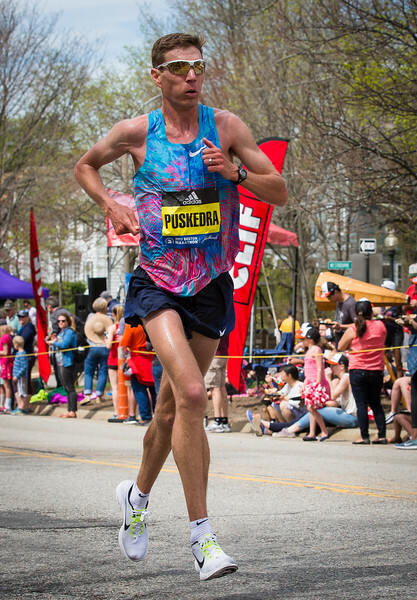 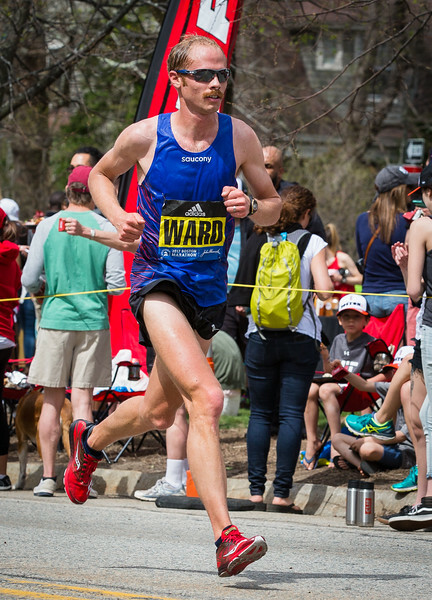 Marcel Hug (W1) from Switzerland edged out Ernst Van Dyke (W2) from South Africa, within a split second, at the 2017 Boston Marathon. 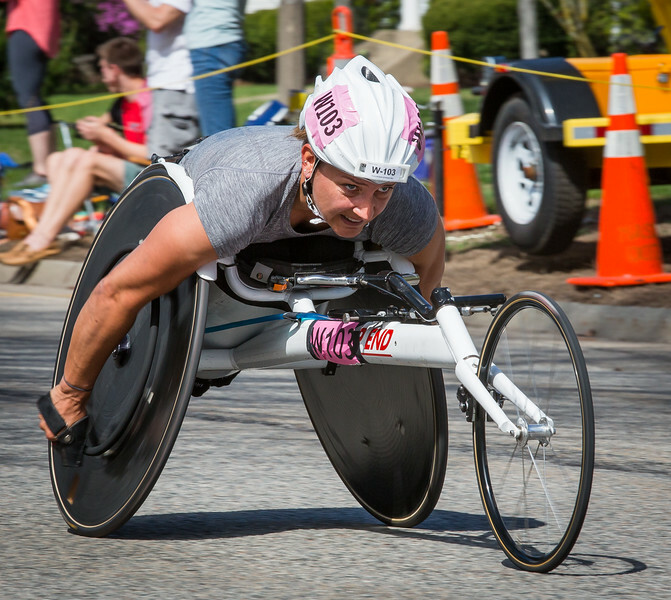 Manuela Schar from Switzerland won the women's wheelchair race with a world record time of 1:28:17! 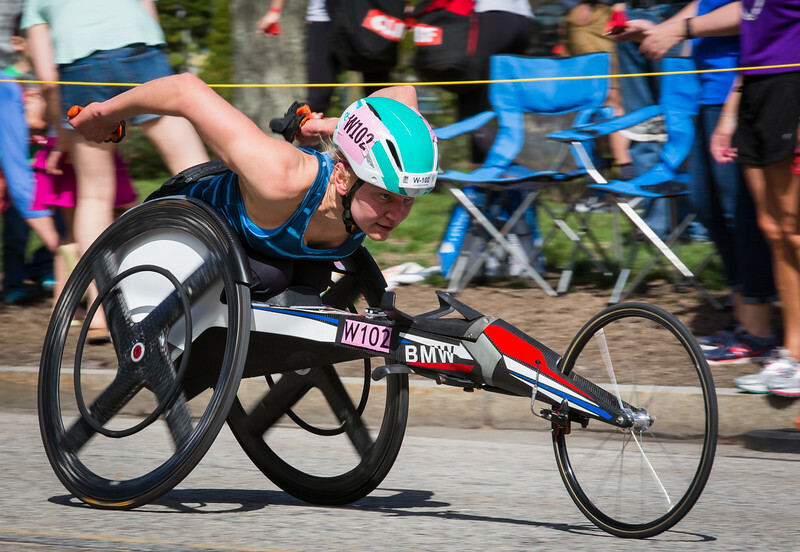 Susannah Scaroni, USA, finished 3rd in the women's wheelchair race. 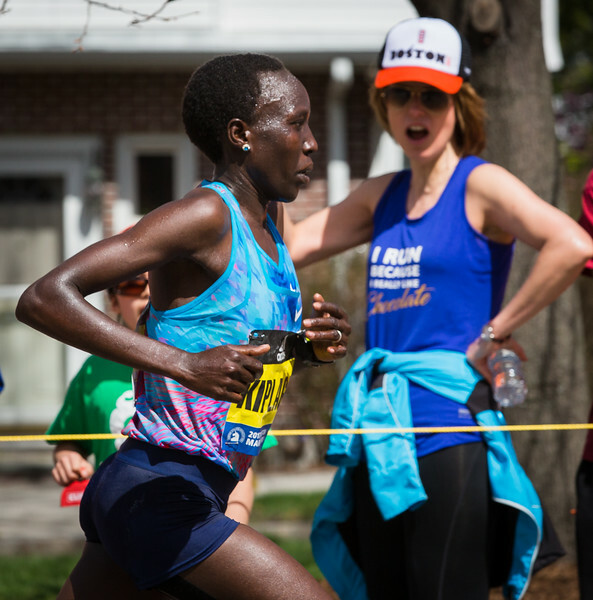 Edna Kiplagat from Kenya finished first in the women's race. 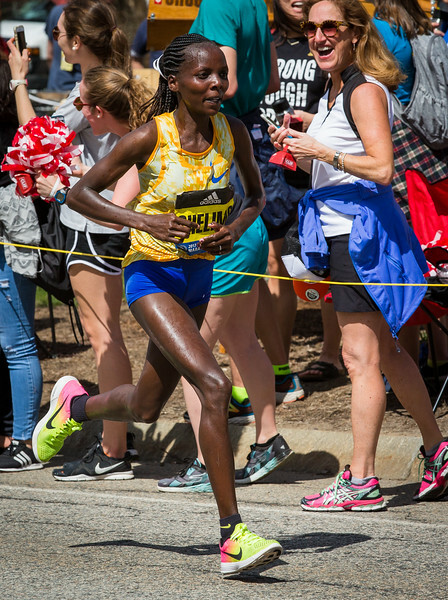 Rose Chelimo from Brunei Darussalam finished 2nd in the women's race. 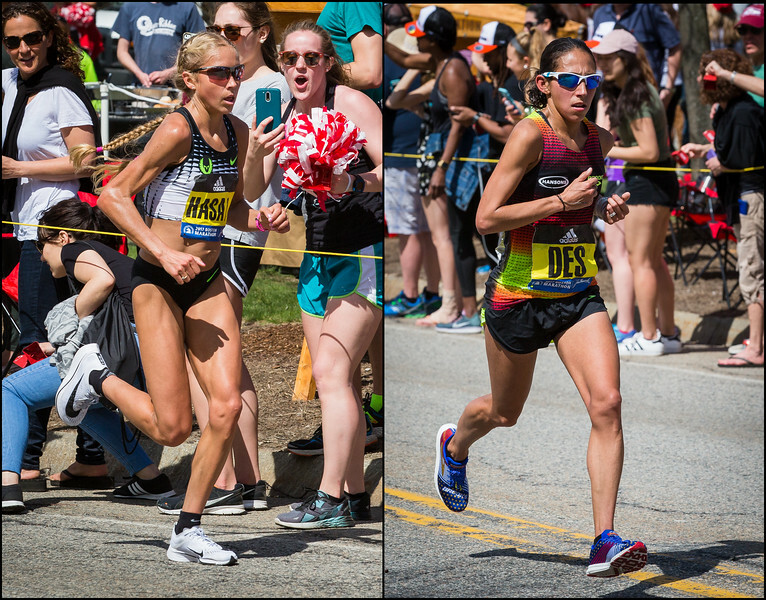 Jordan Hasay and Desiree Linden both from USA, finished 3rd and 4th, respectively, in the women's race. 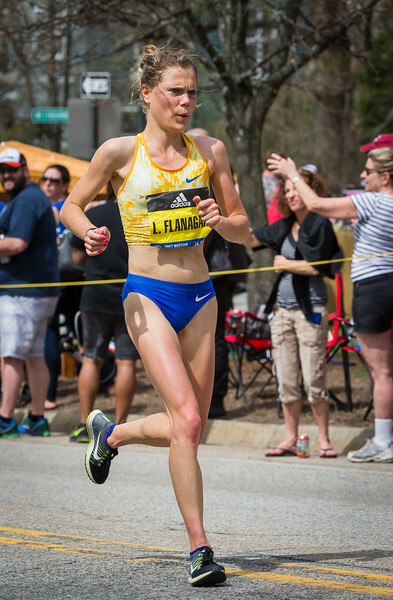 Lindsey Flanagan from USA finished 11th in the women's race. 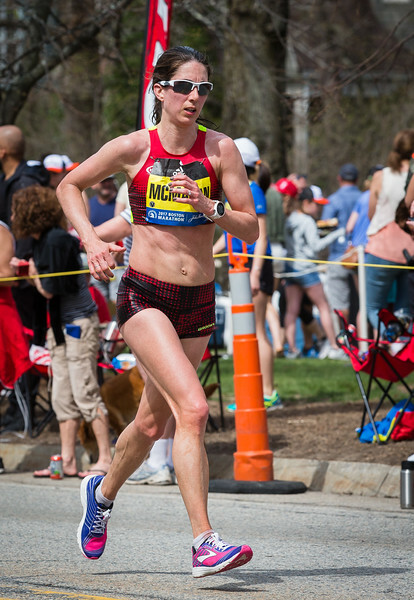 Dot McMahon finished 14th in the women's race, and was 1st in her women's masters (over 40) division. 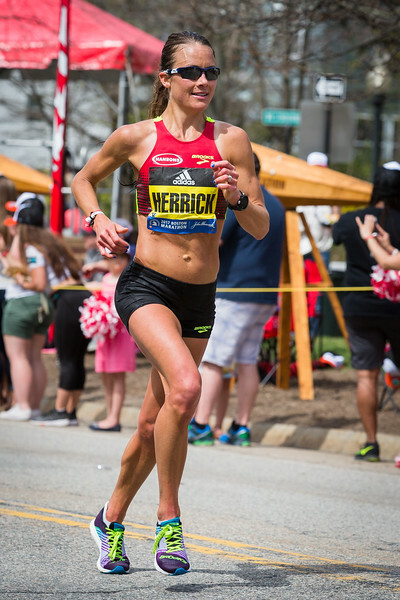 Danna Herrick from USA smiles as she gracefully begins the climb of Heartbreak Hill. 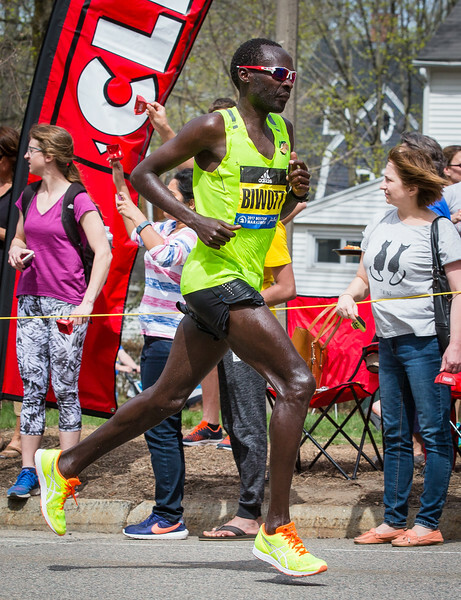 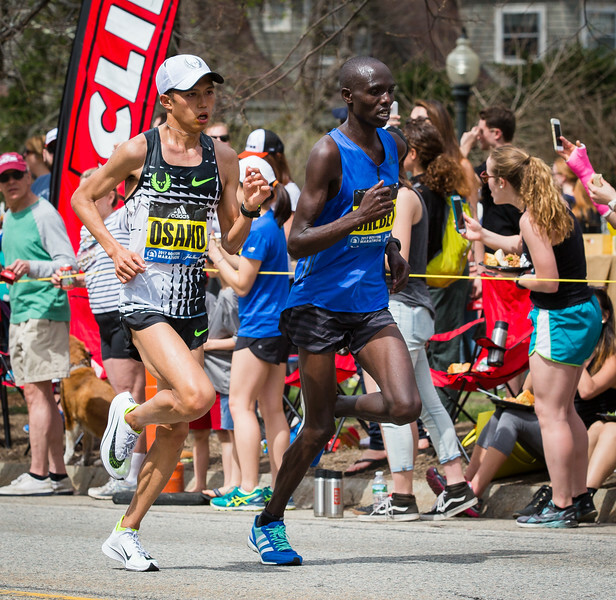 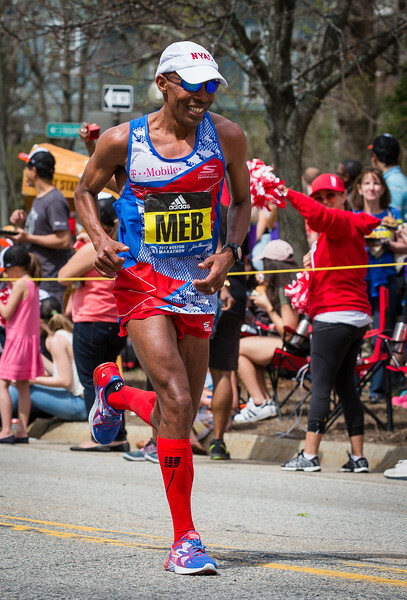 Men frontrunners in the 2017 Boston Marathon. 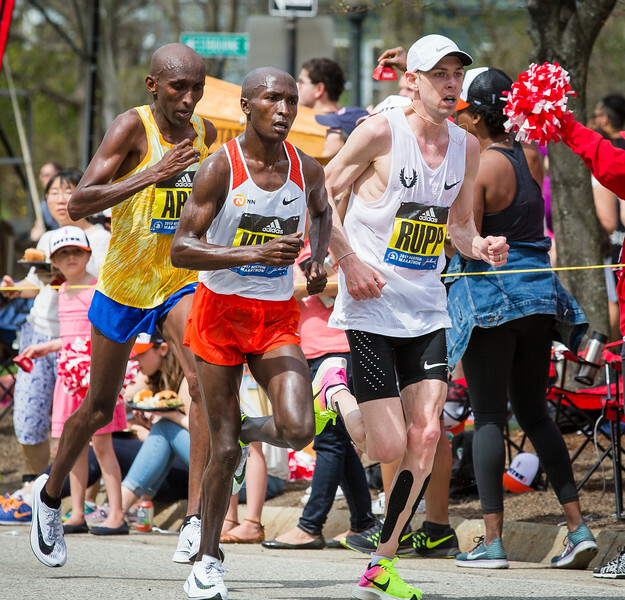 Geoffrey Kirui from Kenya won the race, followed closely by Galen Rupp and Abdi Abdirahman, both from USA. 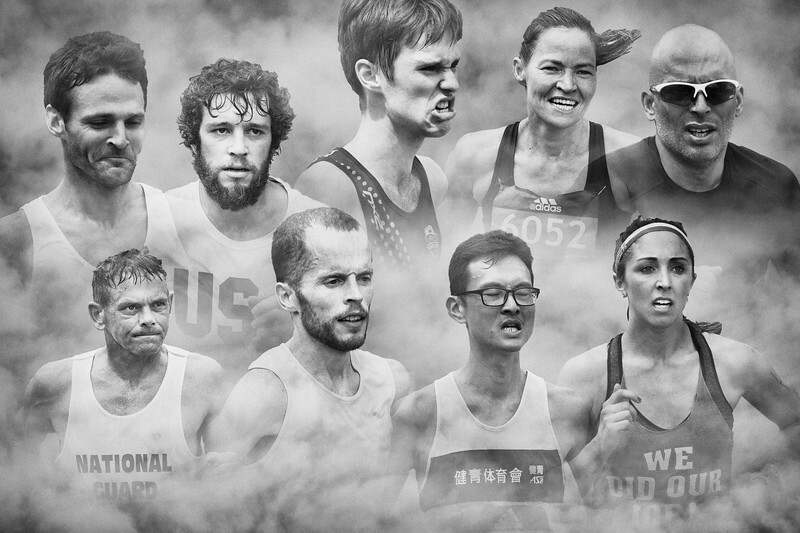 These are just a few of the thousands of men and women that ran in the race. 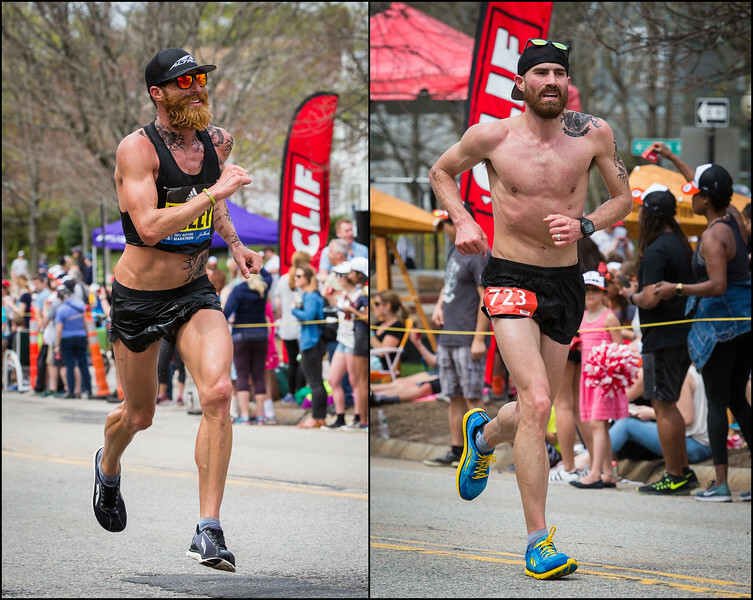 Their faces show their courage, strength, and emotions as they endure the challenge and pain of the 26.2 mile course. 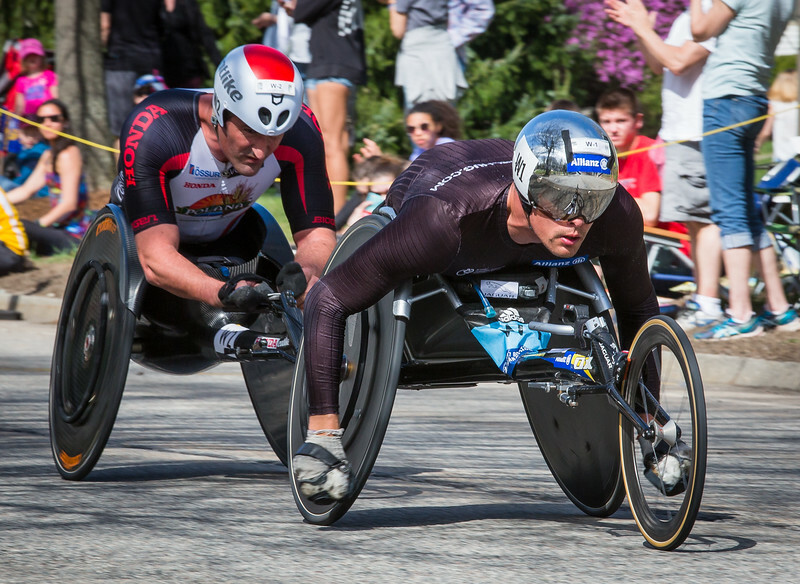 They each run their own race, trying to meet or beat their own individual expectations.